Ergonomic Twin TouchT pedal control follows the natural motion of your foot. An adjustable seat and tilt steering wheel work together to provide ideal positioning. (Besides leg room, the seat also adjusts for weight-and even to what eye level you'd like to mow.) A central display and ergonomic color-coded controls make it easy to stay in command. Maximum forward speed of up to 15 mph. 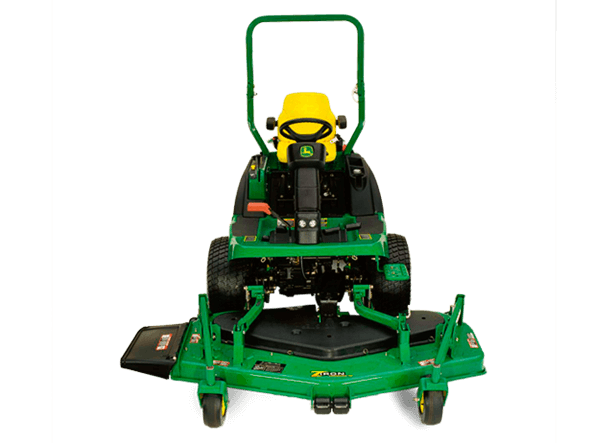 Side- and rear-discharge mower decks available.